A big hug & warm smile make the day grand especially when it is from your children. 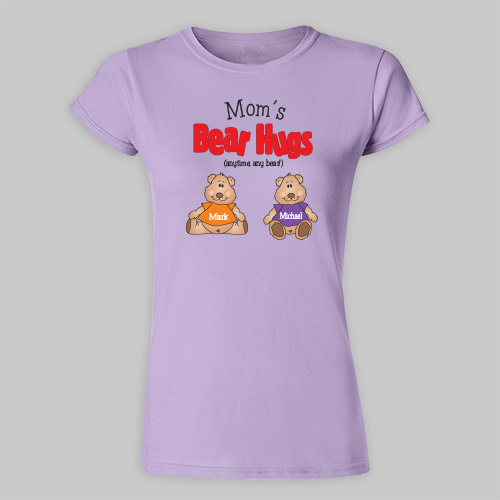 Enjoy this great feeling all day long when you wear this soft & comfortable Personalized Hugs Womens Fitted T-shirt. A great personalized Mother's Day gift she is sure to love. 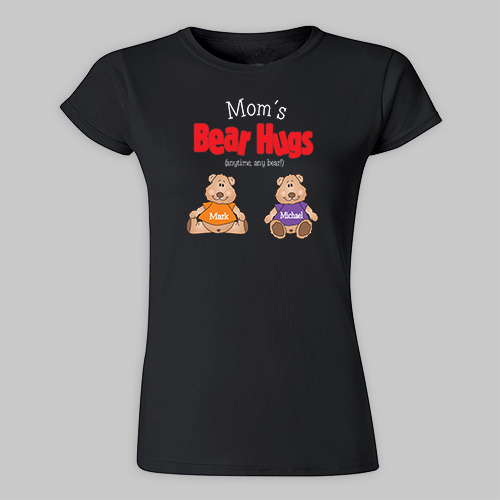 Your Custom Printed Mommy T-Shirt is available on our premium 100% soft-style cotton, Personalized Women's T-Shirt, machine washable in adult sizes S-2XL. Shirt is 4.5 oz, pre-shrunk, double-needle stitched sleeve and bottom hemmed. Includes FREE Personalization. 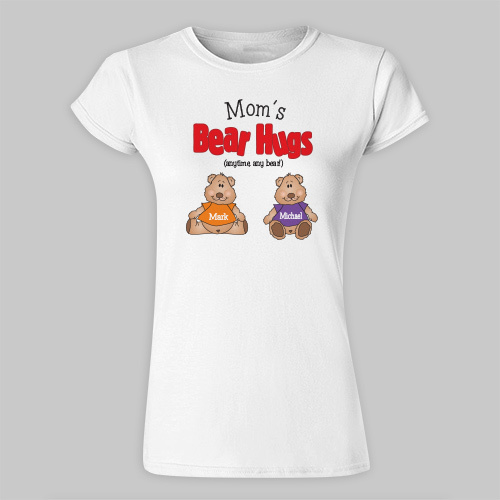 Personalize your Hug T-shirt with any title & up to 30 names. I was very pleased with my order. These fitted shirts are too small. I bought larger than a usual T-Shirt and it is still to small to my liking. It's a really cute shirt, though.